I purchased this foundation ages ago and I tried it once/twice and for a reason that I can’t recall, I didn’t like it so it accumulated dust in my makeup collection. Recently I was being a good girl and making a conscious effort to use up all my old foundations before purchasing new ones. When I started using this for a second time, I fell in love with it. I feel it is pretty similar to the Rimmel Wake Me Up Foundation. The consistency of the Rimmel Match Perfection is slightly thinner but I find they both have very similar coverage that being a medium but buildable coverage. It gives a beautiful flawless finish that lasts all day. I wear this to work and after a 10 hour day my foundations still appears perfect. I apply it using my Real Techniques buffing brush and then I applied a little bit more to my Real Techniques sponge and pat that on my face. I chose the shade 201 Classic Beige which can be slightly too dark when I don't have a tan, but I feel the shade the lighter shade would be too pale. The only gripe I have with this product is on some occasions when my skin is particularly dry, it clings to my dry patches and oxidises. My skin has been behaving recently so I have been using this foundation everyday and am loving it. 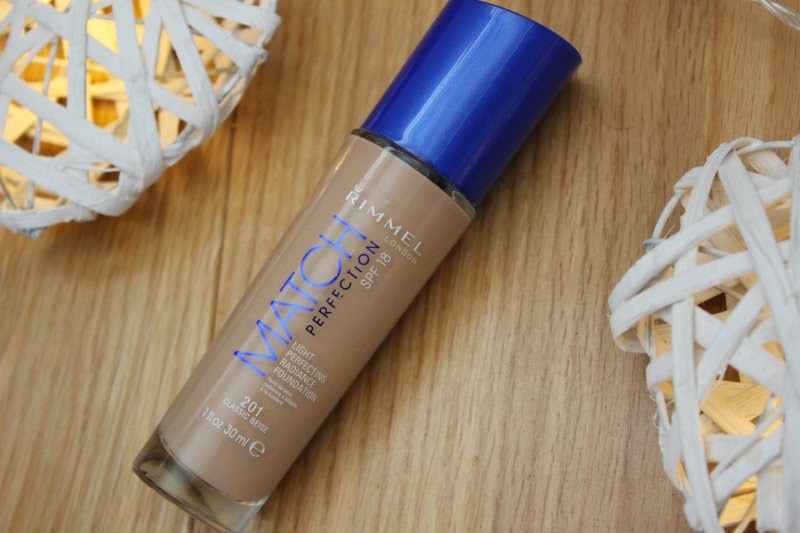 What is your favourite Rimmel foundation?